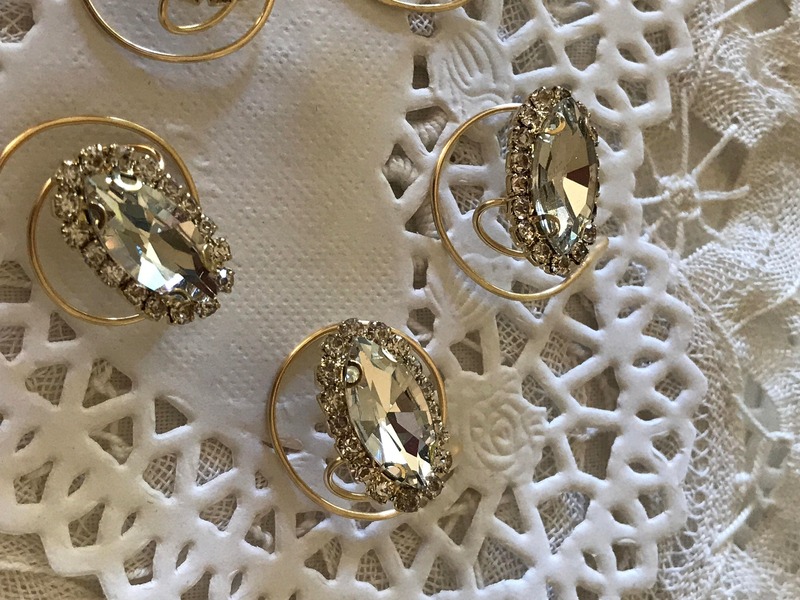 Exquisite Hair Jewelry for the bride to be or the perfect Ballroom Dancing Accessory. 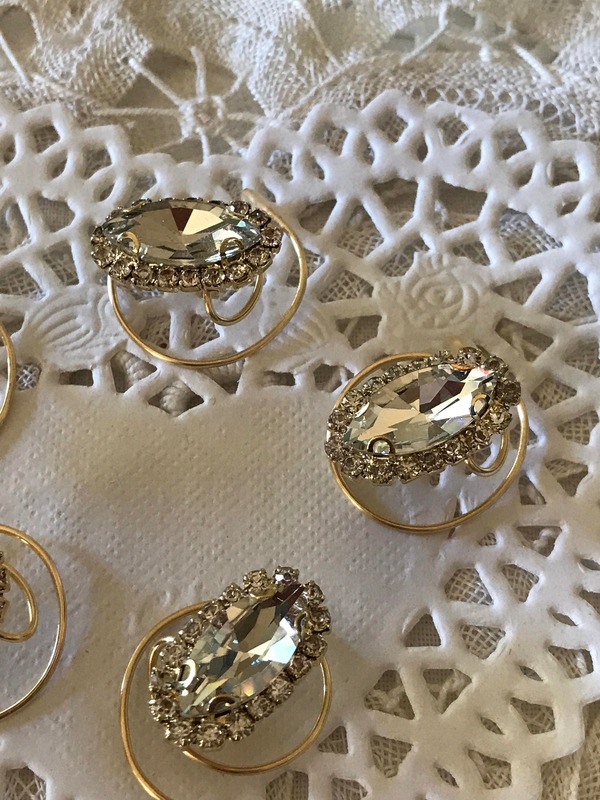 Each Hair Twist is 18mm x 10mm in size. 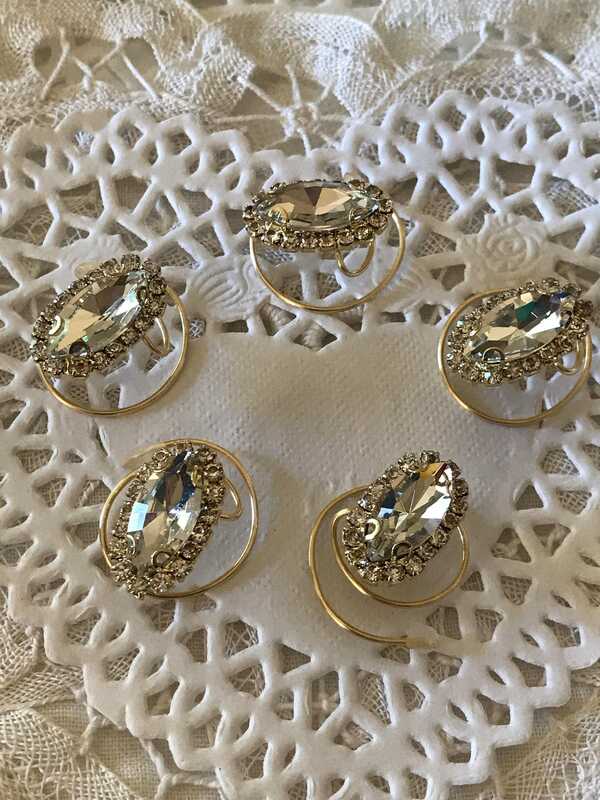 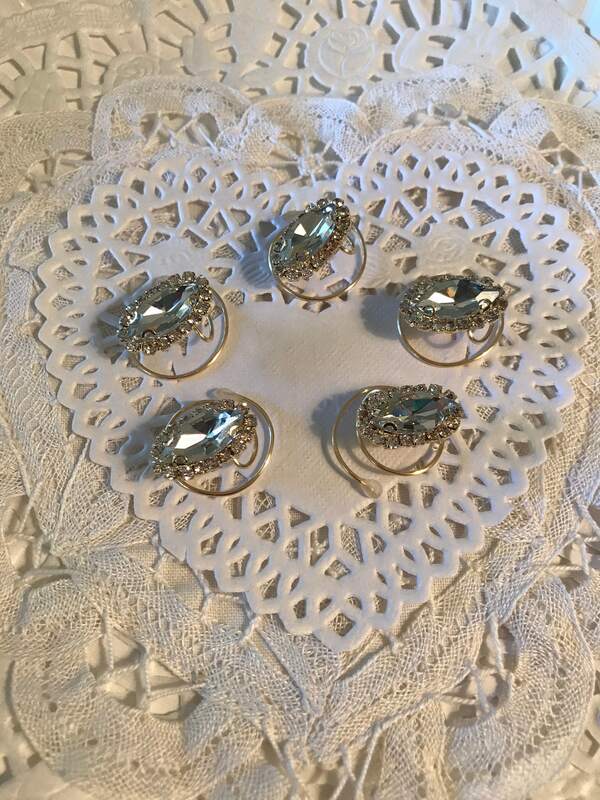 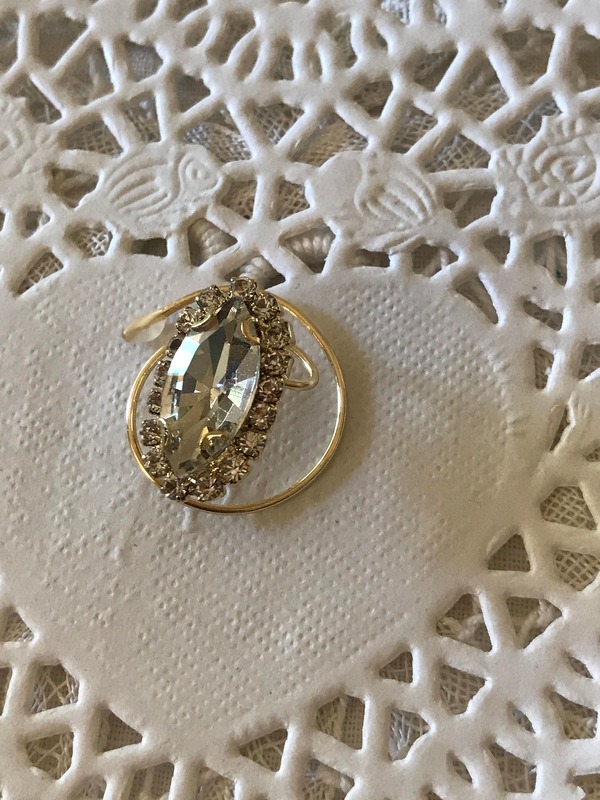 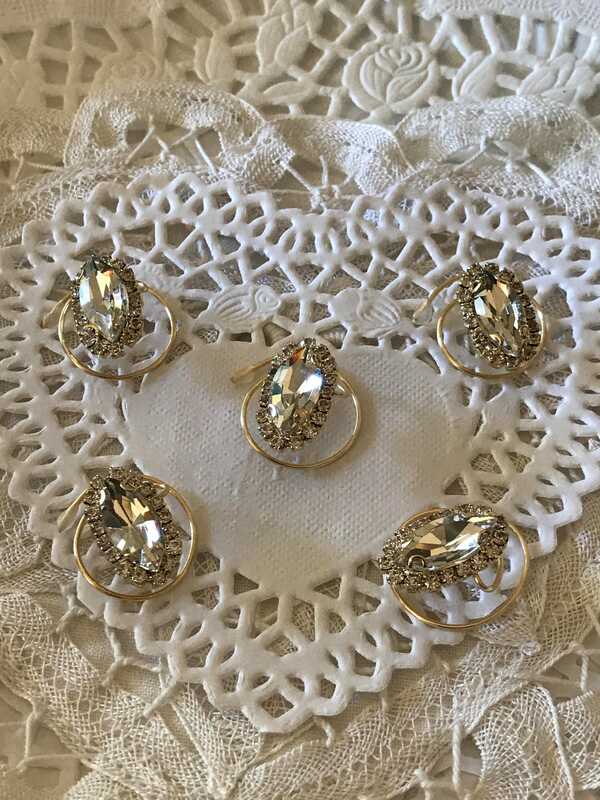 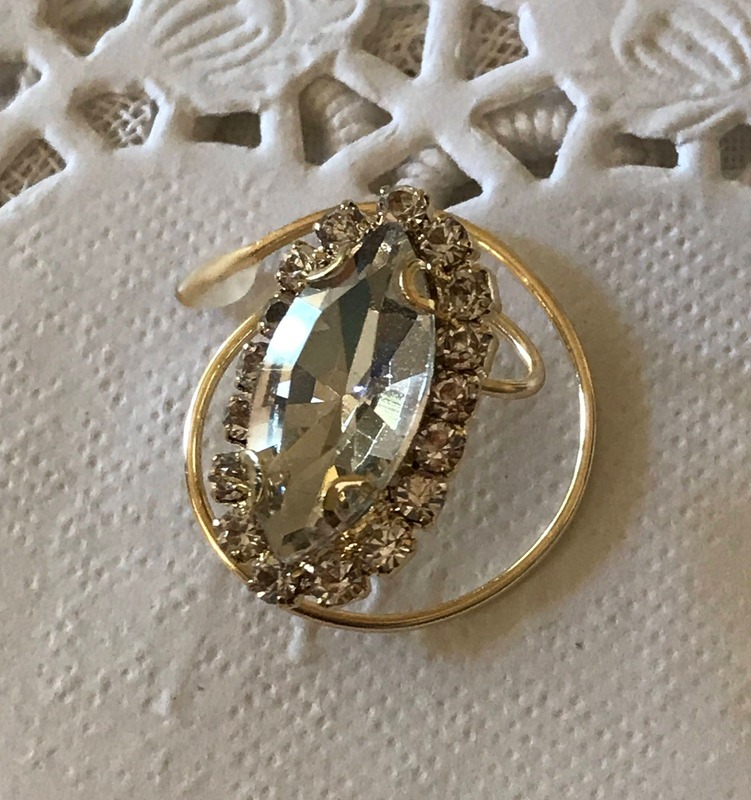 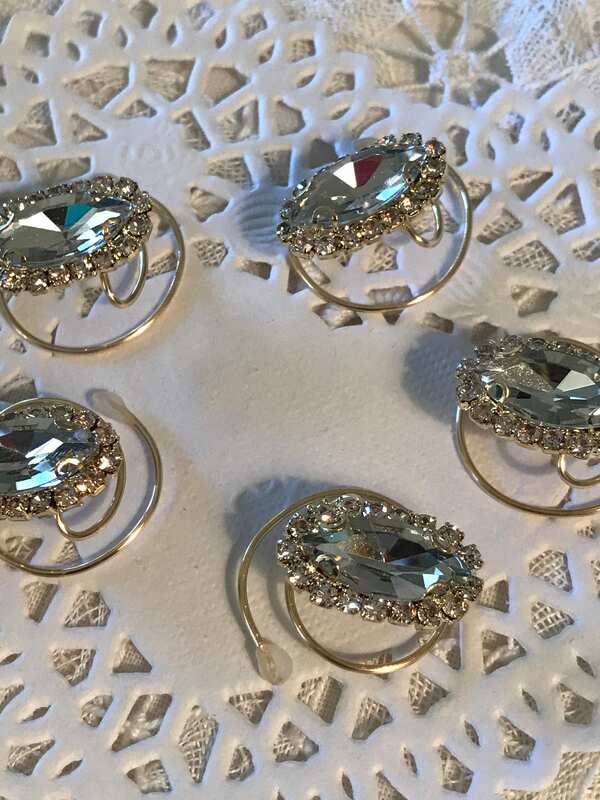 Each crystal clear oval is surrounded by 17 tiny clear square rhinestones and mounted in a gold tone setting. 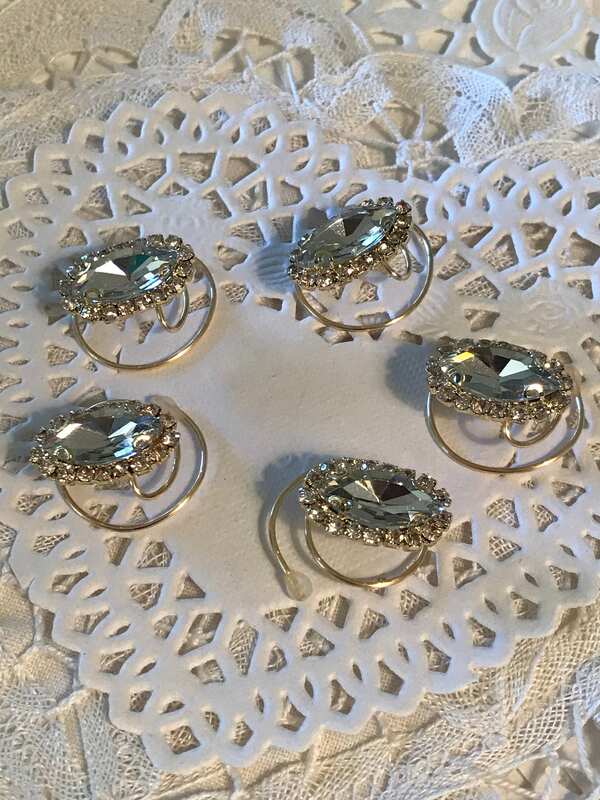 These Oval Hair spirals are the perfect hair accessory for brides, bridesmaids, skaters, majorettes, or ballroom dancers.